Architecture: Tesla and SolarCity unveil inconspicuous solar roof tiles with "quasi-infinite" lifespan. Elon Musk has realised his vision for a "one-stop solar and storage experience", combining camouflaged roof tiles with an updated version of the energy-storing Powerwall. 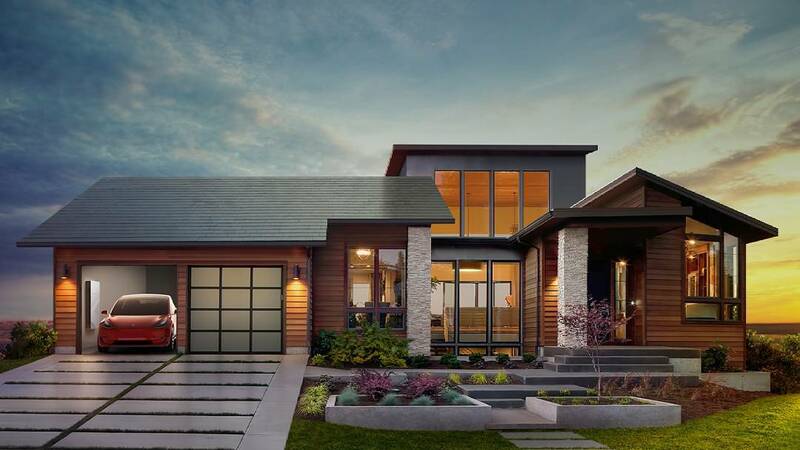 The tiles are the first products to be jointly unveiled by Tesla and SolarCity following the announcement of the companies' proposed merger in August. Made from glass and available in four styles, the panels are intended to be a more attractive way to add solar technology to homes by cleverly disguising the cells through a coloured film. Combined with the Solar Roof, it provides 100 per cent renewable energy for the home.